On April 29, two billion people worldwide sat in front of their TV screens as they witnessed one of the most public weddings in history – the marriage of Prince William and Catherine Middleton. No-one asked why they were getting married, why they didn’t get a civil union instead, or said that the ceremony was pointless and unnecessary. It was simply the dream that many aspire to. 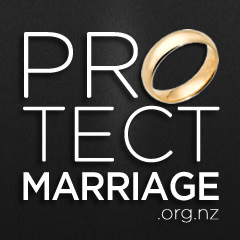 Just 20,900 couples got married in New Zealand last year – an all-time low. This has led to claims that a wedding ring is unnecessary to legitimise parenthood and sexual activity. Put simply: some think marriage doesn’t matter. On that basis, civil unions matter even less – only 273 couples got one last year. But do declining rates mean that it doesn’t matter? Should we be concerned that marriage rates are at an all-time low? Yes, we should. Marriage matters. The weakening of marriage is one of the most important social issues we are facing….